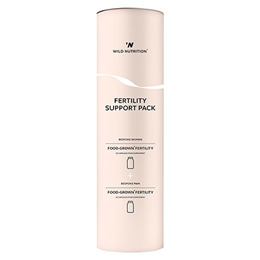 Offering support for both Men and women, natural or assisted conception, the Fertility Support Pack offers you the opportunity to nourish your fertile ground with vitamins and minerals which can help to support preconception. Food-Grown Fertility (Bespoke Man):Nutrient enhanced Yeast (providing: Arginine, Carnitine, Iron, Selenium, Vitamin B12, Boron, Folic Acid, Inositol, Manganese, Choline, Riboflavin, Chromium, Vitamin B6, Biotin, Iodine, Niacin, Thiamin, Co Enzyme Q10, Molybdenum, Vitamin K1, Vitamin D3), Nutrient enhanced lactobacillus bulgaricus (providing: Calcium, Magnesium, Zinc, Pantothenic acid, Copper), Vitamin C incorporated into citrus pulp, Cordyceps Sinensis powder, N-Acetyl Cysteine (NAC), Carrot Preparation (providing: Beta Carotene), Yellow pea (providing: Vitamin E, Pine bark extract. Food-Grown Fertility (Bespoke Woman):Vitamin C incorporated in citrus pulp; Vitamin and Mineral enhanced Yeast providing Thiamin, Riboflavin, Vitamin B6, Vitamin B12, Vitamin D3, Vitamin K, GTF Chromium, Calcium, Copper, Selenium, Biotin, Choline, Inositol, Zinc, Niacin, Molybdenum, Iodine, Boron, Iron, Manganese, Pantothenic Acid and L-Methionine; Vitamin enhanced Yellow Pwa (Pisum sativum) preparation providing Vitamin E; Lactobacillus bulgaricus preparation providing Calcium and Magnesium; Beta-Carotene incorporated in Carrot concentrate; N-Acetyl Cysteine, Organic Beetroot powder and Cordyceps Sinensis Powder. Vegetable Cellulose (capsule shell). Food-Grown Fertility (Bespoke Man):2 capsules per day with or without food. 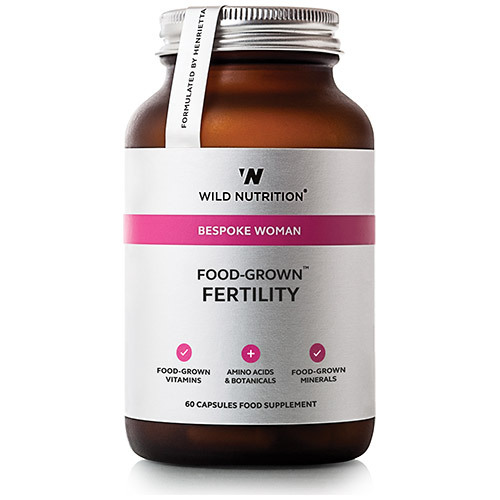 Food-Grown Fertility (Bespoke Woman):2 capsules per day with or without food. Below are reviews of Wild Nutrition Fertility Support Pack by bodykind customers. If you have tried this product we'd love to hear what you think so please leave a review. These were a godsend and definitely helped me get pregnant! 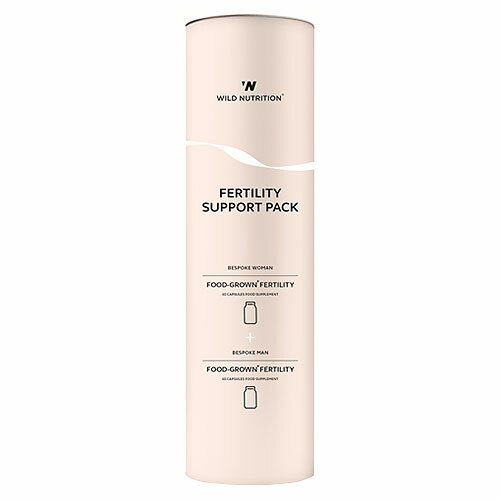 Offering support for both Men and women, natural or assisted conception, the Fertility Support Pack offers you the opportunity to nourish your fertile ground with vitamins and minerals.